We developed this special Sweet Corn Alive!™ formula in our research garden with the goal of creating larger, more tender ears of corn with sweeter kernels. And we've succeeded! 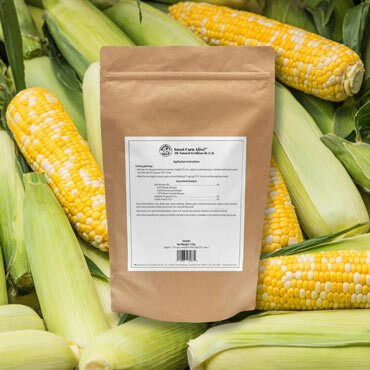 This all-natural fertilizer is derived from plant and animal by-products, with no artificial chemicals or fillers, and its concentration of plant-ready nitrogen helps corn reach new heights. After corn has germinated and reached a height of 5-6", apply at the rate of 2 cups per 25' of row, as a side dressing in a shallow trench next to the row. 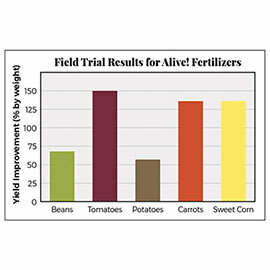 For optimum results, apply a second feeding of 1 to 2 cups per 25' of row at the time the plant is beginning to tassel.